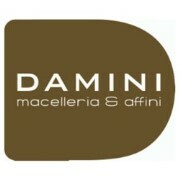 Meat, the flagship product of the “Damini&Affini” butcher’s, is the main element in the kitchen. All the dishes are the result of an attentive selection of ingredients, always made season wise. The à la carte menu is paired to some extra menu suggestions of the day. Some of the dishes are inspired by the butcher’s next door, some other are refined dishes which Giorgio, the chef, suggests in his tasting menus. In addition to the meat and to the ready-to serve delicatessen counter, the shop offers additional high quality food stuff. On the shelves you can find durum wheat noodles, spelt noodles, rice, flour varieties, barley, different sorts of extra-virgin olive oil, salt, pepper, spices, herbs, vinegars and balsamic, chutneys, compotes, preserved vegetables and fish, tea and herb tea selections. Worth being mentioned is the wine area offering over 900 selected wine labels produced by small manufactures and by big Italian and foreign wine companies.